The error of equating or relating OT ‘purification’ to NT water baptism has caused much confusion. The terms are neither synonymous nor are they related in any way. In other words, water baptism was never Bible purification and never a part of the process of purification. Over the centuries after God gave the Law to Moses, the Jews’ religion became a mixture of rabbinical interpretations and traditions that added to the Law of Moses hundreds of non-scriptural requirements and perversion. By the time Jesus came to earth, the religious leaders of the nation of Israel had added to, subtracted from, and changed so much of the Law of Moses that His sternest rebukes: “hypocrites”, “blind leaders of the blind” “whited sepulchres” “vipers” etc., were reserved for the religious leaders of Israel. The Law feasts were no longer “feasts of the LORD” but designated by a term never found one time in the OT: “feast of the Jews” (John 5:1; 6:4; 7:2). By inspiration, Paul called his past religious life as a leading Pharisee, Hebrew of the Hebrews—the “Jews’ religion” (Galatians 1:13-14). There is no justification to make all First Century doctrines and practices of the Jews a valid argument against plain, direct, inspired statements of the Bible. Those who use Jewish practice to vilify the Bible practice of water baptism are either ignorant of scripture or they are religious crooks. Num. 19:16 And whosoever toucheth one that is slain with a sword in the open fields, or a dead body, or a bone of a man, or a grave, shall be unclean seven days. Num. 19:19 And the clean person shall sprinkle upon the unclean on the third day, and on the seventh day: and on the seventh day he shall purify himself, and wash his clothes, and bathe himself in water, and shall be clean at even. We only need go to the OT and note “the feasts of the LORD” and compare those with the “feasts of the Jews” in the NT (John 5:1; 6:4; 7:2) to realize that the Jews had perverted the Law of Moses to such a degree that none of the feasts in the NT are called “feasts of the LORD” anymore. Temple worship had also been degraded to a “den of thieves” (Luke 19:46). The gospel accounts are replete with the Lord’s rebuke to leaders of Israel and their apostasy from the Law of Moses. It is no wonder then to find the Jews questioning “some of John’s disciples” about purification. Heb. 9:10 Which stood only in meats and drinks, and divers washings, and carnal ordinances, imposed on them until the time of reformation. The correct and basic rule of Bible interpretation is usage and context in the King James Bible (KJB). All skepticism of the justification and meaning of a believer’s water baptism in this present age stems from two corrupt sources: (1) the very questionable Greek translation (LXX) of the Hebrew Old Testament in which the Egyptian based ‘translators’ put “baptism” in every Hebrew text for “washing”. Gullible and careless handlers of the word of God say, “See, there is proof washings are baptisms.” (2) The second source, founded on the first error, replaced the KJB’s translation of ‘baptizo’ (and its various forms) with a Greek definition from secular Classical Greek. The Greek of the New Testament was not written in Classical Greek; the NT Greek is what is called ‘koine’ (common) Greek and was not the Greek of the secular Greek authors such as Homer, Sophocles, Euripides, Hippocrates, etc. God, in the Bible, set His own definitions and interpretations apart from man. NT Greek was the language of the common man and not the language of the ‘scholars’. Not only that, NT Greek has properties that go beyond the normal speech and usage of the koine Greek. 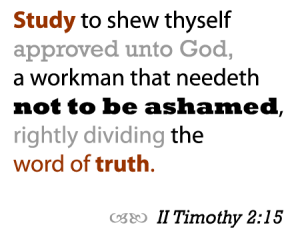 The KJB is based on what is called “Biblical Greek”. Even the English of the KJB has certain elements not used or spoken in the English language by anyone from 900-2015 a.d.; therefore, the KJB is Biblical English and one only finds the definitive meanings of terms in their usage and context in the KJB. For several reasons, I believe the error of substituting or transliterating baptismois as “baptisms” instead of the translation of “washings” in Hebrews 9:10 is a glaring example of ignoring Bible usage and context. It is simply the result of ‘uniform translation’ (the assumption that all Greek words that are the same, must have the same meaning.) In following this assumption, all ‘modern translations’ such as the NIV, have perverted the meaning of critical Bible words. The word baptism (along with all its various grammar forms) is not found in the Hebrew or English Old Testament. There are “divers washings” involving water just as the KJB says, but there is no usage of “baptisms”. The KJB recognizes the problem of transliterating baptismois as “baptisms” in Hebrews 9:10 and employs the translation, “washings” which is defined on the rule of biblical context. Here is the reason: if the OT “washings” is synonymous with NT baptisms, a doctrinal error of extreme importance is introduced. The various ‘water baptisms’ of tents, pots, pans, cups, toes, and animal guts would be on the par with not only the baptism of NT believers, but also John’s baptism of the Lord Jesus Christ! God reveals seven baptisms in the NT with a variety of recipients, messengers, modes, and meanings—not a single one is named a baptism in the OT text. Baptism from the beginning (Exodus; 1 Corinthians 10) was identification with Moses as God’s spokesman and professed agreement with his message from God. The waters of the Red Sea never cleansed or even touched those under Moses leadership—they all went through on “dry ground”. Remember, this “baptism” at the Red Sea was never called that in the OT. Paul brought it into the Corinthian letter because of their misuse of the purpose and meaning of water baptism. A single baptism (Red Sea) existed before the Law and God never confused baptism with “a purification rite” under the Law. Baptism superseded the Law dispensation and involved a “mixed multitude” that included Jews and Gentiles, some truly dedicated to Moses leadership and some mere professors, as was proven later when times got hard and they rebelled. The rule of first mention establishes the meaning. The use of water in such Law matters as the priests, etc., was a dedication and identification to their office and duties. Water took no sins away nor did it immediately remit any sins; water if used, was a part of several elements and actions: a process. God “sent John to baptize” and he followed no OT Law instruction or traditions of the Jews. (John 1:33). Acts 9:10 ¶ And there was a certain disciple at Damascus, named Ananias; and to him said the Lord in a vision, Ananias. And he said, Behold, I am here, Lord. You will notice that Ananias ADDED baptism to the word of God. Paul, in Acts 22:16, simply gave accurate testimony of what Ananias said, and by no means should be assumed to be Paul’s present agreement with the Jews religion or Kingdom doctrine. In addition, Paul was ALREADY A CHOSEN VESSEL (Acts 9:15) before Ananias ever met him or imposed the washing! Had Ananias never showed up, Paul would still bear the Lord’s name before the Gentiles, and kings, and the children of Israel. (There are two more parts to the question: John’s mode of baptism and what justification we have to make water baptism a picture of the death, burial, and resurrection of Christ. We will deal with those in the remaining installment that follows next week.) —August 16, 2015.